Students studying in various Kota coaching centers were in for a pleasant surprise on Saturday morning. Reason: Special yoga sessions had been organised for them. The district administration, in association with Isha Foundation, had organised these classes for over 2,000 students and 1,000 teachers at a private coaching institute and UIT auditorium in Kota. The move was initiated by the Kota district collector Ravi Kumar Surpur to evoke spiritual intelligence among students and teachers to counter stress due to the heavy pressure of studies and excelling in different subjects. This was also done to control the suicides by students who come here for coaching, the number has been quite high in the past few months. “Such sessions will bring creativity, insight and compassion which eventually will curb negativity from one’s self. The exercises taught to them will certainly bring positive energy and a change among them,” said Surpur, who added that this event is also in continuation with their efforts to destress. 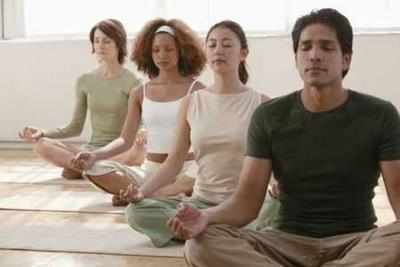 The yoga classes were held in two sessions — morning and afternoon. The first session was held at 6 am and the second one at 12.30 pm. Both the sessions were moderated by the Isha Foundation gurus. During the sessions, students were also given tips on how to keep themselves happy peaceful, explore their inner selves and be joyful. Several students who participated in the yoga sessions expressed their happiness and excitement. “I felt very light during the session and was deeply engrossed into the yogic activities. They gave tutorials CDs to us which I will share with my friends,” said Ravi Sanghi, a student. Earlier, Surpur had held ‘Masti Ki Pathshala’ in all the coaching institutes simultaneously by asking every coaching institute to organize fun-filled activities for their students. In the year 2015, Kota witnessed 19 suicides and this year three suicides have already rocked the coaching town. Surpur has left no stone unturned to counter the stress among the young impressionable students which then culminates into severe health hazards and sometimes even into suicides.